I am on the Tennessee Arts Commission Artist Roster in the categories of Arts Integration, Professional Development and ArtistCorps TN, a new arts-based service learning initiative. Schools may apply for a grant from TAC to cover residency costs. In addition I conduct regular aesthetic education residencies and professional development seminars offered through TPAC Education. Please see “Residencies” and “Professional Development” pages for details on programs offered. Through TPAC Education, I work with a team of lead Teaching Artists to offer two and three-day seminars in aesthetic education and arts integration, as well as three-hour teacher refresher workshops and professional development for other Teaching Artists. Independently or with a colleague, I can design and facilitate customized, experiential professional development for teachers. 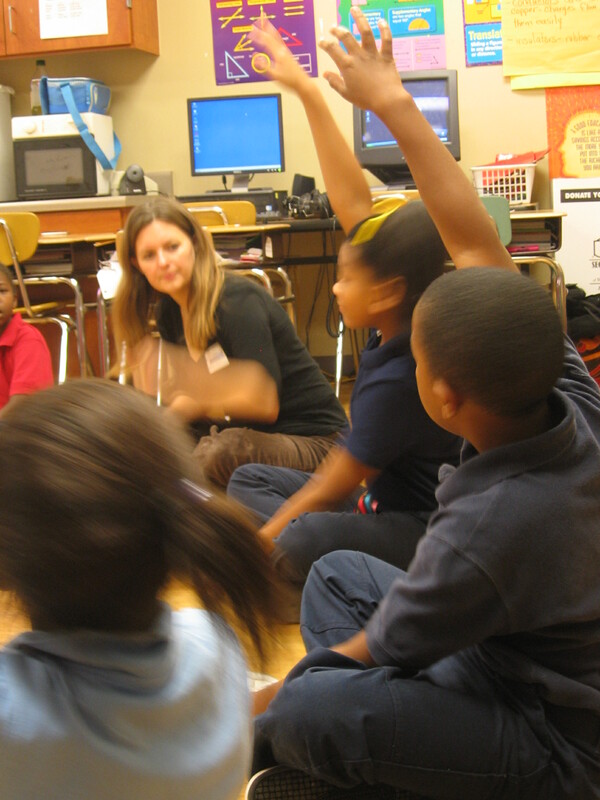 Arts Integration for Teachers An after-school or full-day in-service workshop customized to fit each school’s need. Creative explorations unleash the artist in each teacher. Teachers explore ways to incorporate the arts in the classroom to fully engage students and make meaningful connections between the arts, academic curriculum, and the world.